At the moment, I can't do an "Everyday Make Up" routine because I don't wear make up everyday. I think this will be changing soon those as I think I would probably scare everyone at work coming in with a bare face. 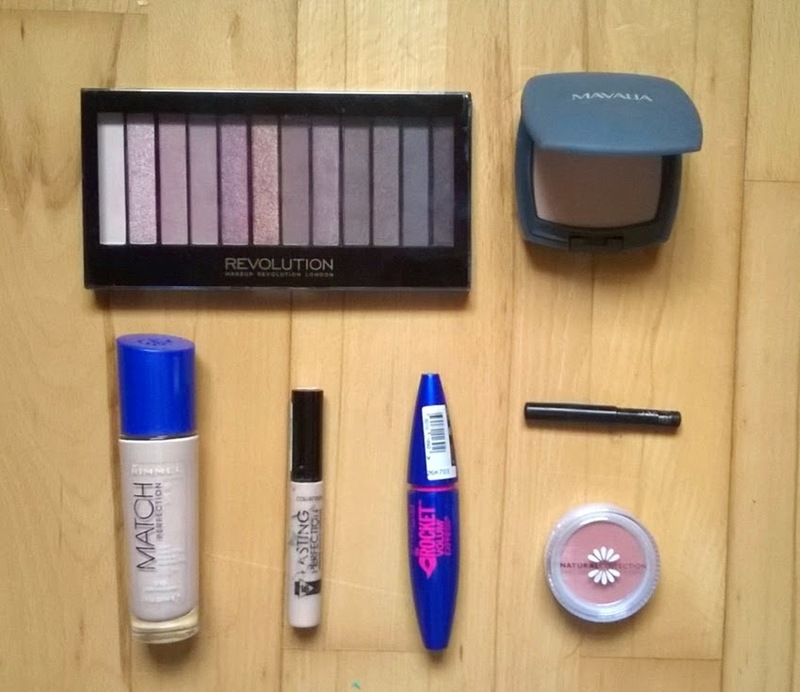 For now, I thought I would show you the products I throw on my face when I'm just running errands. 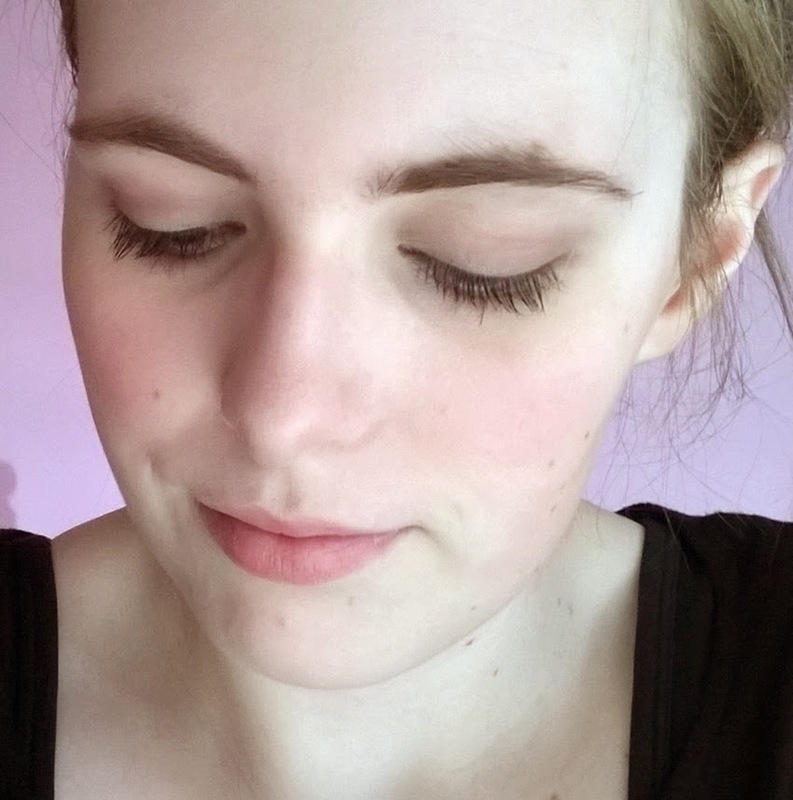 As a base, I used the Rimmel Match Perfection Foundation and dotted some of the Collection Lasting Perfection Concealer under my eyes and onto any spots. I then used the Mavala Transparent Pressed Powder anywhere on my face that my get oily throughout the day. To add a bit of colour to my cheeks, I used the Natural Collection Blush in Peach Melba. For the eyes, I kept things pretty simple and used two shades from the Make Up Revolution's Iconic 3 palette. I lined my tight-line with Rimmel Soft Khol Kajal Eye Pencil and added a coat of Maybelline The Rocket Volum' Express Mascara to my lashes. I apologise for the poor photo of this look. 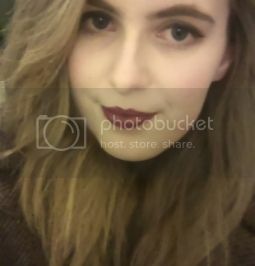 I am awful at taking pictures of myself and taking pictures of make up looks is totally new to me, so hopefully I will improve. Leave a comment below letting me know if you liked the format of this post & if you would like to see more of them! A few great products in there! I really need to get myself a make up revolution palette!! You do! They're fantastic and so cheap! I love wearing it every couple of days but I feel like my skin would suffer if I were to wear it every day! I don't wear makeup everyday either, beautiful skin by the way! Not wearing makeup everyday is the best! I don't either, and my skin is so much better for doing so. I don't think you'd scare anyone away - you have lovely skin!